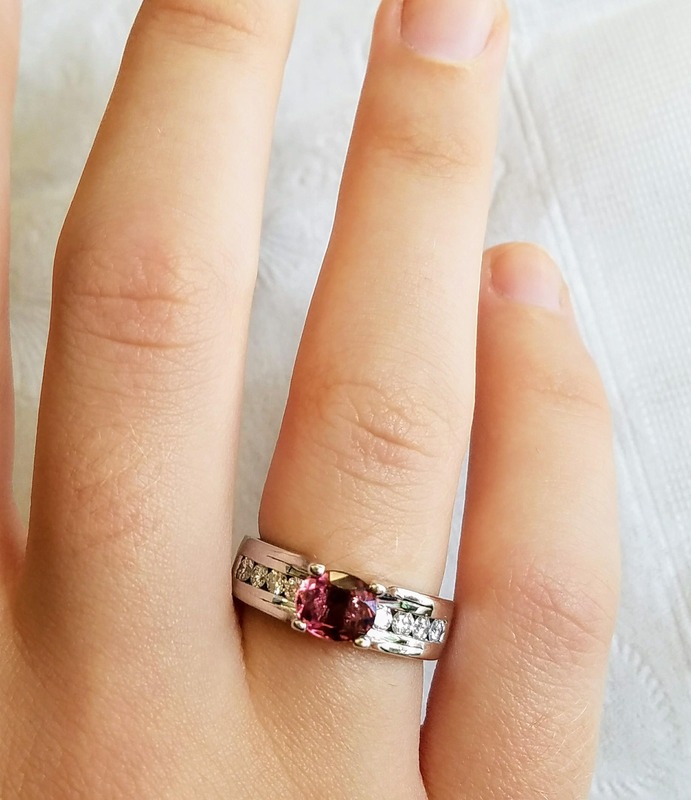 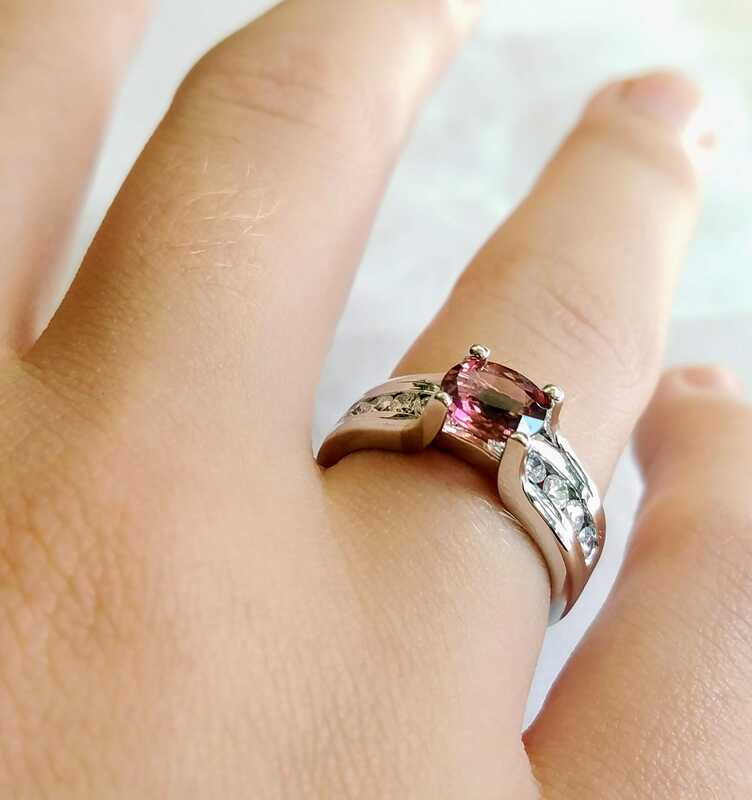 14kt white gold diamond and Pink tourmaline ring. 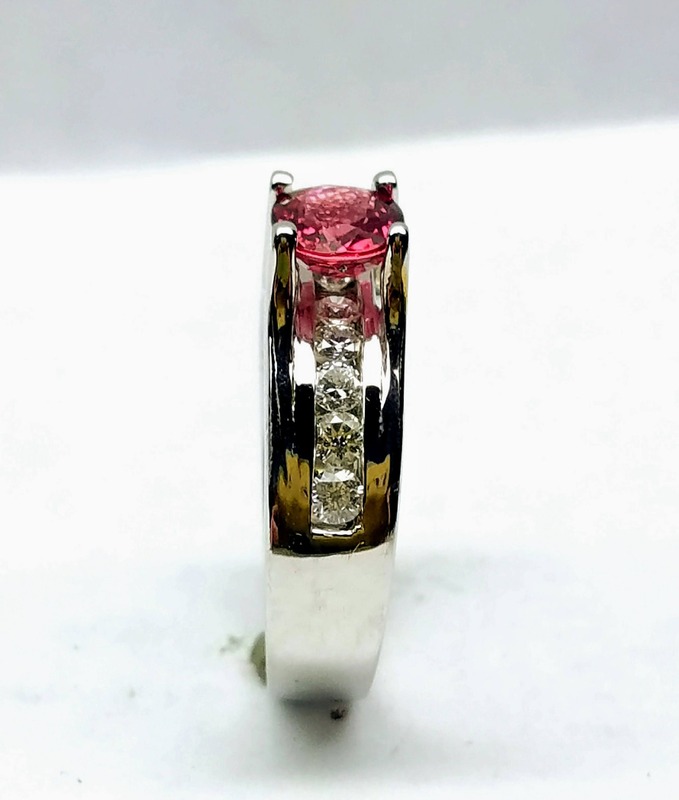 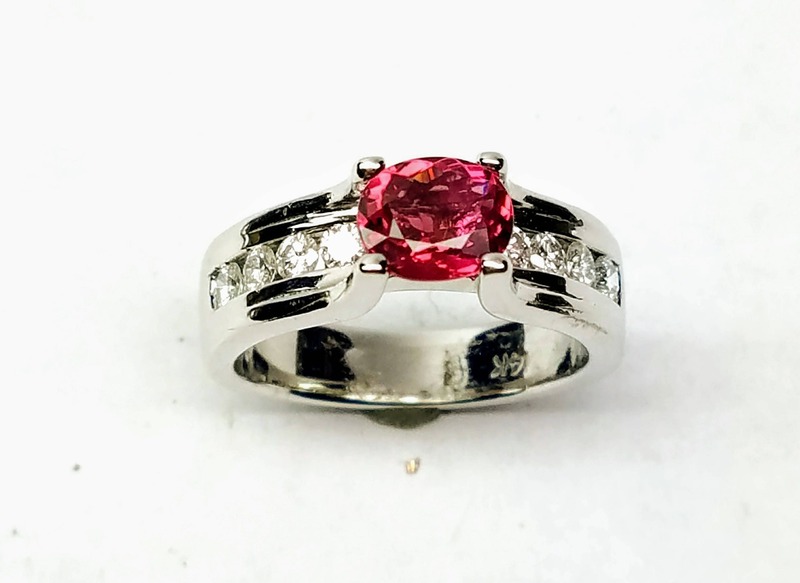 Beautiful Pink tourmaline 14kt white gold ring with channel set with very good quality round brilliant cut diamonds totaling 0.50 carat. 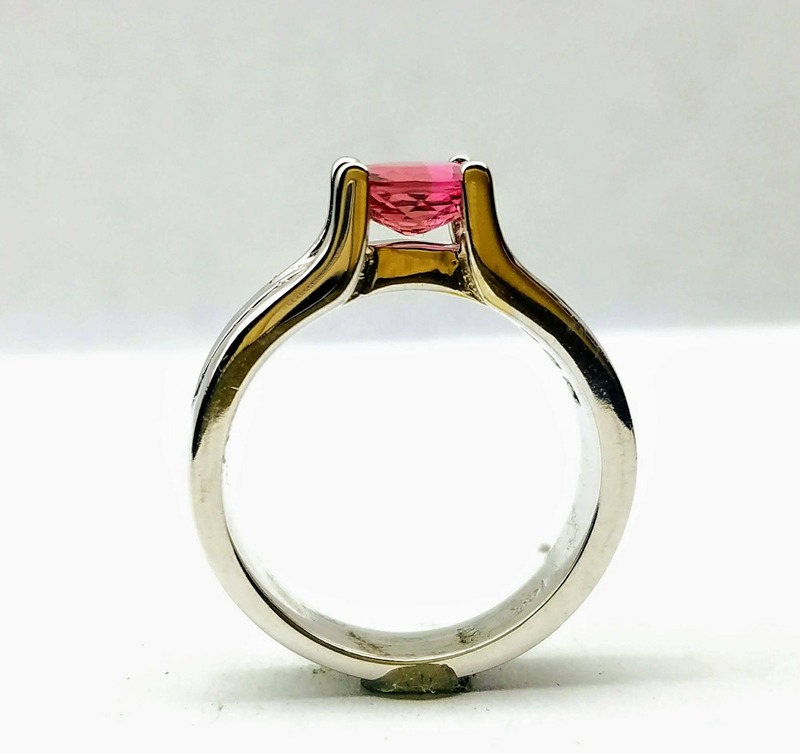 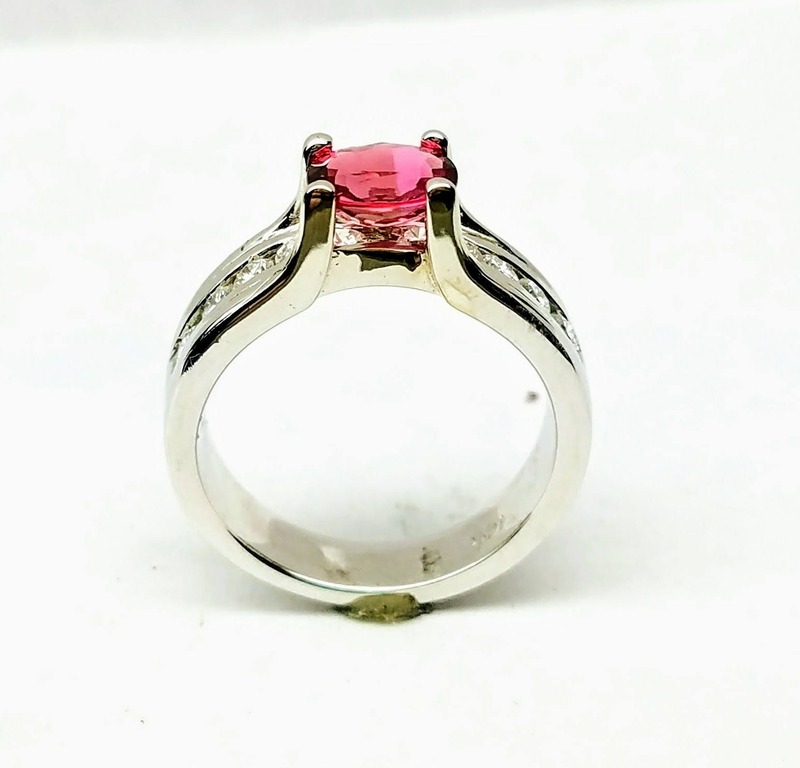 The pink tourmaline is very clear, intense pink color 1 carat.